A bust-up with his partner resulted in a man driving his daughter’s car away without her consent and while under the influence of alcohol. Paul Richardson, 44, of Hamilton Road, Hawick, was banned from the road for 12 months and ordered to carry out 80 hours’ unpaid work after pleading guilty to five offences at Jedburgh Sheriff Court. He admitted assaulting his partner by throwing a hot drink over her. He also owned up to then driving away a car without the consent of its owner and without insurance, failing to tell police the identity of a driver and drink-driving. 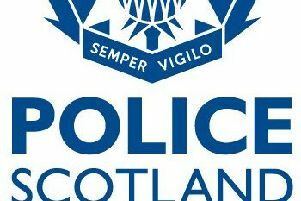 Those offences were committed in Gladstone Street, Hawick, during the early hours of March 28. Tessa Bradley, prosecuting, explained that the couple, in a relationship for 18 years, had been arguing about Richardson’s drinking the previous night. She added: “Matters escalated, and he threw a hot drink over his partner. “He continued behaving in a threatening manner, including throwing a dinner plate at the television. The court was told his partner contacted the police after he had driven off around 7am and he was found at his brother’s home at 8.45am. He gave two samples of breath at around 9.30am, and both proved positive for excess alcohol. Richardson pleaded guilty to driving with a breath-alcohol count of 34 microgrammes, the legal limit being 22. Defence lawyer Mat Patrick said the incident had “marked the end of his long-term involvement with his partner”. He said Richardson had reacted to a drink being thrown over him and pointed out that it only involved “the dregs of a flask of tea” when he responded in kind. Mr Patrick said his client felt he would be fit to drive and was surprised at the alcohol reading. Sheriff Peter Paterson imposed a community payback order involving 80 hours’ unpaid work as an alternative to a fine, as well as disqualifying Richardson from driving for a year.